It’s my great honour that Brian May has very kindly written the Foreword to Growl. 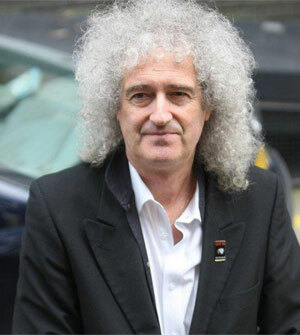 In the last few years, Brian has spoken out against the present UK government’s threat to repeal the Hunting Act and bring back fox, stag, and deer hunting as well as the government’s policy to kill badgers allegedly to halt the spread of TB among cows raised for their milk. He established the Save Me campaign, named after his song, to champion all, but predominantly British, wildlife. Around the world he is, of course, known and beloved as a founding member of Queen and a world-renowned guitarist, songwriter, producer, and performer. He’s also a Doctor of Astrophysics and an authority in 3D stereoscopic photography. Officially, he is known as Dr Brian May, CBE, PhD FRAS; but to Britain’s wildlife, he’s known as our friend Brian. I was honoured to be asked to write a foreword for Kim Stallwood’s definitive book about the journey of men and women towards decency. Did I say ‘definitive’? Yes, I believe this book is important enough to be essential reading for anyone who has begun to listen to what their conscience says, as regards how we, as humans, behave towards the other beings on Earth, whether human or nonhuman. I have seen first-hand how injustice gets overlooked when the victims are powerless or vulnerable, when they have no one to speak up for them and no means of representing themselves to a higher authority. Animals are in precisely that position. Unless we are mindful of their interests and speak out loudly on their behalf, abuse and cruelty go unchallenged. This, from Tutu, a man who spent most of his life fighting against injustice to blacks, women, and gays, is a signal that our sensibilities are growing up. It is a call to us all to stand up for what most of us believe is right, on a larger stage than ever before. The fact that you are reading this foreword is probably an indication that you are already in that group of humans who feel profoundly uncomfortable with vast areas of our everyday treatment of animals, and would like to make a change. I count myself in that group. Yet, for most of our lives, busy and ambitious as we are, and concerned with providing for a growing family, we turn a blind eye to that inner dissatisfaction. How can we turn ourselves into an instrument for change towards decency in human behaviour? Kim Stallwood’s fascinating account of his ongoing journey towards this goal is the best answer to this question I have ever seen. Although Kim is modest and self-critical, his life has already inspired many of us in our quest to give animals a voice. In this book, he chronicles his own passion as he makes a journey that is both real and symbolic, towards true decency. The only good parallel I can think of for his often painful honesty and sharp perception is John Bunyan in his Pilgrim’s Progress. This book explodes many myths and bubbles; it levels all the high ground that many have believed they stood on, and plainly beckons us in humility and simplicity to a better way of thinking, in which we cause no unnecessary pain to any creature. Better than this, it opens the door to a world based on compassion, our greatest hope for us and our children, and our children’s children. I am going to be one of the first to purchase this book, and will lend it to my friends that never want to know what’s going on. When I try and tell them about the cruelty that’s going on in the world, they tell me I’m fanatical and it’s much too upsetting. I find it upsetting that people just want to turn a blind eye. How can we put a stop to such cruelties if we don’t know what’s going on? Growl is available for pre-order on Amazon and will be generally available wherever books are sold. The official publication date is September but it will be available prior to then.